Valerie Weaver-Zercher is a writer and acquisitions editor for Herald Press. Her book reviews, op-eds, essays, and features have appeared in the Wall Street Journal, Los Angeles Times, Chicago Tribune, Salon, Los Angeles Review of Books, Orion, Christian Science Monitor, Publishers Weekly, Brain, Child, Christian Century, Sojourners, The Mennonite, and Mennonite Quarterly Review, among other venues. The author of Thrill of the Chaste: The Allure of Amish Romance Novels (Johns Hopkins, 2013), she has been quoted in the New York Times and the Philadelphia Inquirer, and her writing has been nominated for and received special mention for a Pushcart Prize. She has received a fellowship in creative nonfiction from the Pennsylvania Council on the Arts, two first-place awards from the Associated Church Press, and two first-place awards from the Evangelical Publisher’s Association. 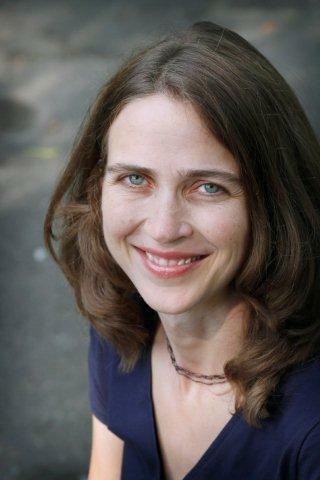 She is a regular book reviewer for the Christian Century and a contributing editor to Sojourners magazine. Books she has edited have received starred reviews in Publishers Weekly and Christianity Today Book Awards. With degrees from Eastern Mennonite University and University of Pennsylvania, Valerie has done teaching at the college level and literacy instruction and GED preparation for adults. Valerie and her husband, Dave, have three sons. They live in Mechanicsburg, Pennsylvania, and attend Slate Hill Mennonite Church. She serves on the board of Friends of Shirati, a nonprofit that supports the work of a hospital and community on the shores of Lake Victoria in Tanzania, and enjoys playing violin, birdwatching, and reading.